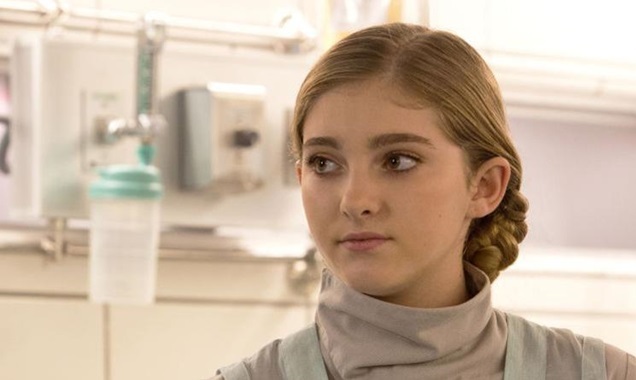 EXCLUSIVE: UK sales outfit boards 3D family fantasy with Willow Shields. Metro International has boarded sales on completed UK-China-New Zealand family adventure movie Into The Rainbow (formerly The Wonder). The Hunger Games’ Willow Shields, Chinese star Leo Wu, Taiwanese actress Joe Chen, Maria Grazia Cucinotta and Archie Kao star in the story of two teenagers who travel inside a super-powered rainbow to China. Norman Stone (Shadowlands) and Gary Wing-Lun Mak (My Beautiful Kingdom) direct the 3D feature written by Ashley Sidaway, Robert Sidaway and Lindsay Edmonds. Producers include Richard Fletcher (Boy) and Iain Brown (Indian Summer). The English-language production is part-financed by Tien Ran Media Group, a subsidiary of e-commerce giant Alibaba. The Golden Era distributor Stellar Mega Films is due to release locally. The project was previously handled by Embankment Films.